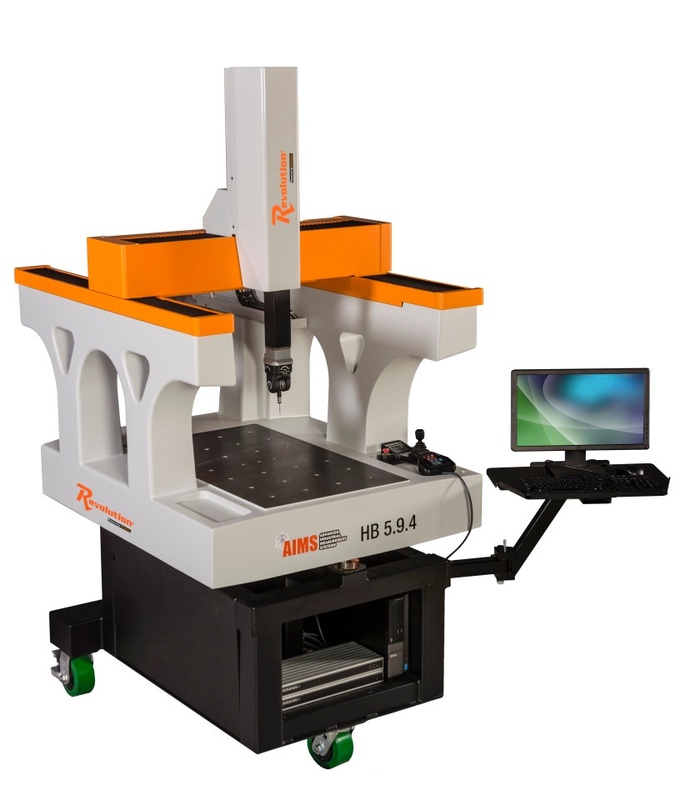 This is the only mobile 5-axis shop floor CMM on the market. It features a roll-around stand, enabling movement of the Revolution® from one area to another. Casters can then be tightly locked to keep it in place. The added bonus of this mobility also includes its use of 110/220 volt outlets – there’s no need for shop air. Attached to the stand, the Revolution®’s polymer-cast base includes built-in vibration resistance and thermal stability for life on the shop floor. Mechanical bearings also further help dampen the vibration abuse shop floors can offer. For the purposes of 5-axis capabilities, the Revolution® uses a PH20 probe head, which offers drastically improved accuracy and repeatability – performing 3 times faster than conventional probe heads. 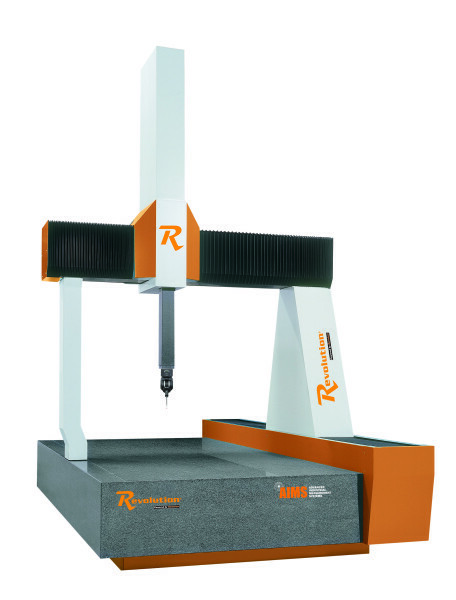 The Revolution® CMM comes equipped with Renishaw TONiC and FASTRACK encoder scale system – accurate to an extreme degree, fast, and offers quick and easy installation. Its precision drive systems can be counted on to be durable and give reliable inspections in any shop floor condition. Lightweight bellows and covers protecting the machine’s components create friction-reducing, smooth-running and precise performance. Revolution®’s vibration dampers also further reduce the amount of shock and vibration to prolong machine life. Modus software from Renishaw is the backbone of the Revolution® operating system. The standard includes Native DMIS, CAD, Modus Organizer, and Graphical Reports. Options include Modus Gear, Modus Spline, Modus Airfoil, and MMclient. MMclient allows sharing between Modus and MeasureMax. Includes QC-CALC and Reaction Plan Manager. QC-CALC is a unique process control tool that provides the user with access to real-time data and builds a database of process performance. The powerful statistical analysis tools enable the establishment and maintenance of control over the entire process. Extensive analysis can be performed, including real-time numeric data collection and offline statistical analysis of recorded data. The Reaction Plan Manager is user friendly and displays clear, specific instructions to the operator on how to make adjustments to keep the process in control. This software uses 2 applications: one to build (Editor) and another to view (Viewer) Reaction Plans. Following is a video HB Shop Floor CMM taken at the April 2018 ExpoMaq in Leon, Mexico. measurement smoother and faster than conventional air bearing systems. 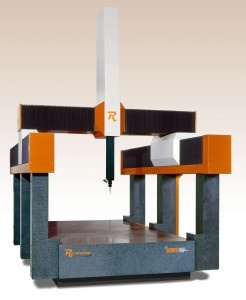 It offers advanced measuring platforms fully equipped with next generation 5-axis probing technology. This provides triple the productivity of conventional touch probe CMM’s with five times the scanning productivity. The LM has been designed with linear motors instead of conventional belts and pulleys. The use of a linear motor means that the LM needs virtually no maintenance, provides less downtime, and has a positioning accuracy in the submicron range. 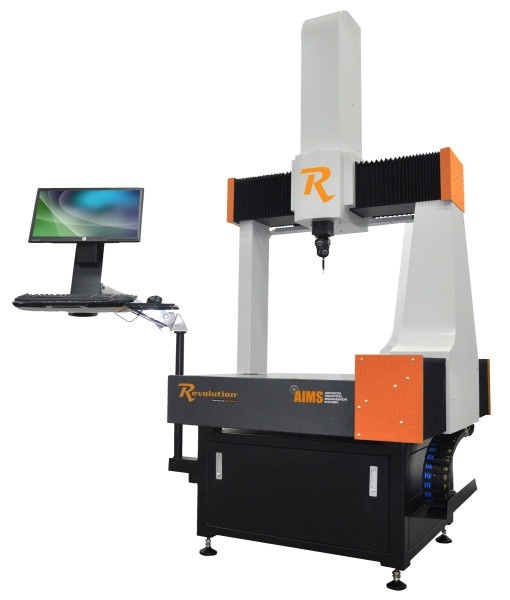 It is the only CMM on the market with a linear motor configuration. 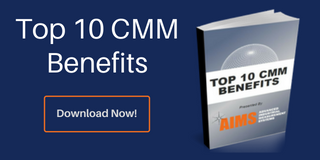 The lab grade CMM is designed with advanced CAD design technology and features flexible and precise instruments able to carry out measurements both in point-to-point mode as well as continuous measurements with contact sensors. The Revolution® LM can be equipped with Renishaw’s touch or scanning probes and are suitable for all applicable manufacturing measuring applications. This includes Renishaw’s PH20, and the REVO which provides triple the productivity of conventional touch/scanning probes, respectively. Modus software from Renishaw is the backbone of the Revolution® LM’s operating system. It includes a configurable user interface to allow native DMIS programs to be developed offline utilizing geometry, embedded dimensions and tolerance data from CAD. Modus also includes true 5-axis measurement programs, full simulation and crash detection, programs arriving ready to run, little or no prove-out time required, and a large variety of report formats. The Revolution® Small Bridge Air Bearing (AB) CMM is the ideal solution wherever the core aspects of measuring are required and where rapidity and ease of use are in demand. It can be used for incoming inspection, machine setup, process control and final inspection. The Revolution® AB Small Bridge is also an unbeatable solution for economic entry into coordinate metrology. The Revolution® AB Small Bridge is a lab grade machine that is built ruggedly for a long life and outstanding long-term stability. 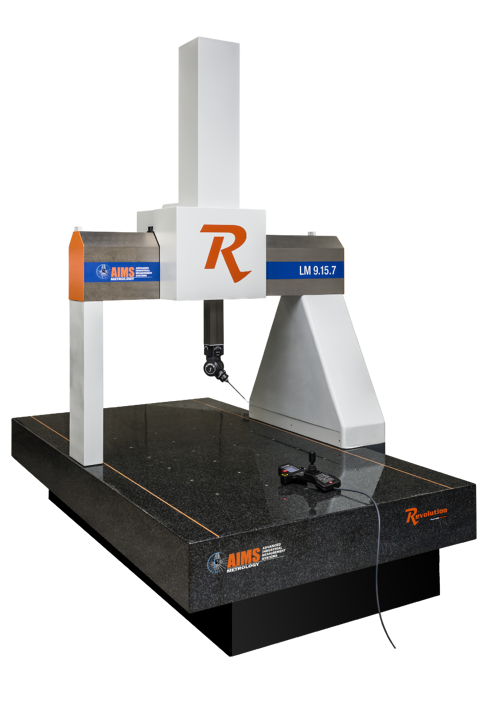 It includes a granite metrology frame where the base, X beam and Z axis quill are made from granite for strength and thermal stability. The air bearing guide ways are precisely lapped for intrinsic accuracy. The air bearings are self-cleaning and wear-free which ensures smooth operation. The Small AB is also easily accessibly during maintenance work. Last but not least, the Small AB is powered by Renishaw’s 5-axis technology with the PH20 probe head. Modus™ software from Renishaw is the backbone of the Revolution® operating system. The standard includes Native DMIS, CAD, Modus Organizer, and Graphical Reports. Options include Modus Gear, Modus Spline, Modus Airfoil, and MMclient. MMclient allows sharing between Modus and MeasureMax. The Revolution® Air Bearing Large Bridge (AB) CMM is the perfect answer to measuring larger components. Robust and easy to maintain, this workhorse has the features you expect plus service and support that goes beyond anything you expect. Driven by Renishaw’s proven technology, the Large Bridge AB comes in a wide variety of sizes for all metrology applications. avoid costly problems. And, you can always count on AIMS training, service and support to further enhance your investment.